While I've previous stated that I don't consider a game's story to be more important than gameplay and that I can, in fact, enjoy a game without a storyline. In fact, I do place the value of a game's story far lower than I place the gameplay. While I don't mind a good story to go with a good game, a good story needs a good game to go with it in order for me to play it. Which brings me to Final Fantasy II. I can remember the when I picked up Final Fantasy II from the rental place. I was staying with my grandparents, and my grandfather had noticed the SNES I got for my birthday was tucked away with my clothes. He decided to take me to the shop and allow me to pick a game, any game. This was 1994, and I'd just turned ten years old. The shop didn't have much, really. A couple games I already owned and a box with a stark red background which immediately drew my attention. I flipped it over and better yet, it resembled Dragon Warrior, an NES game I'd finally conquered not long ago. It even had an in-battle graphic for my hero and it looked fantastic! I snatched it up. These were cutting-edge graphics, back then. Immediately I popped the title in, and was treated to a cutscene. Not just any cutscene, but a full-length thing that took, like, six or seven minutes. Unaccustomed to the story and having learned well the lessons of Dragon Warrior, I read every scrap and even made a note or two, presuming that, like Dragon Warrior, once the cutscene was done and I embarked on my quest, I'd need some of the information to help me. But then I wandered around, triggering more cutscenes, and by the time I actually got Cecil and Kain out of the castle I had a half-page worth of notes. However, one thing stuck in my mind: I had to get to the damned Village with the Package. That was my goal for the moment. I quickly noticed that Kain dealt a bit better damage and that Cecil didn't have a special attack (not knowing that it had been dummied out), and so I spent an hour or two grinding out levels so that I could visit the cave. Yes, it's easy enough to laugh about it now, in retrospect. 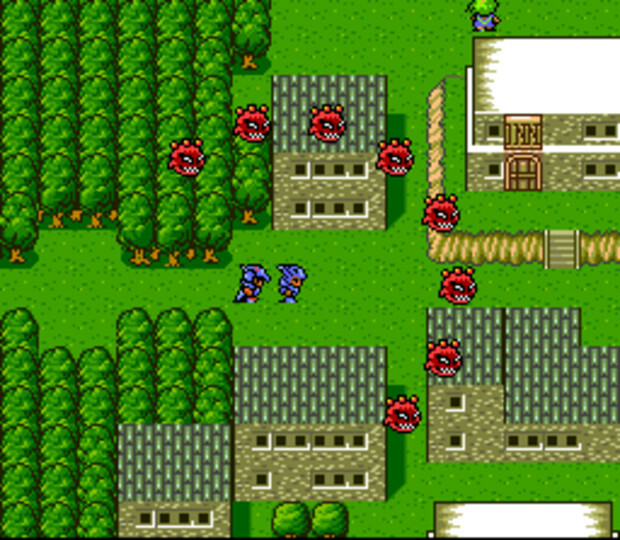 However, my only two previous introductions to the world of the console RPG had been Dragon Quest and Final Fantasy. I thought it was a written rule that you had to spend a couple hours grinding against enemies in order to progress. 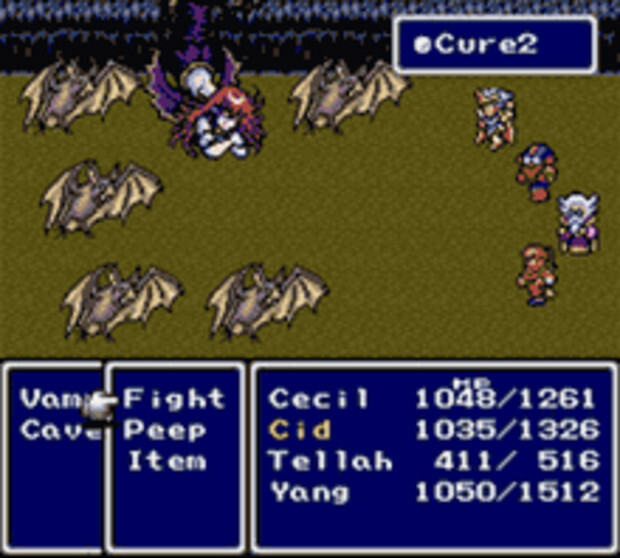 I didn't know that Final Fantasy II (IV... shut up!) was balanced for a playthrough without level grinding (or at least, not until the end) and that the version I'd received, alongside having several abilities dummied out, had been modified to be easier besides. Thus, with dozens of Cure1s under my belt, I journeyed through the cave, defeated the boss monster, and delivered the package. And then the village exploded. And suddenly my real quest was revealed: Bring down my king. Which, to my mind, was a rather shocking twist. So I pressed on, and very quickly, I lost sight of my original goal. Between finding Rosa in the next town I visited to learning that Goblez was manipulating things behind the scenes, the story continued to change my goals and eventually I found I'd discarded them, wrapped up in the narrative like a protective blanket. I always knew what to do, where to go. Rather than having to explore and figure out for myself where I had to go, what I had to do was spelled out by what was going on in the plot. And what a plot it was! Instead of just being rewarded with a new piece of equipment, the game rewarded me with more of the story every time I fought my way through a dungeon. While these days, I've grown accustomed to a good story to go along with my games, in those days a game having much of a plot was unheard of. It was the continuing adventure which enthralled me. The changes the game would throw at me which continued to expand the scale of the adventure, continued to keep me blowing through dungeons and adapting to my ever-changing party. I'm getting a class change that lets my tank cast healing spells? Sweet! The story hooked me, and it made those little pixels more than just a game, for me. It took a story and made me invested in it for the first time in a video game, making me want to beat the dungeon not just to say I had, but to see more of the adventure poor Cecil found himself engaged in. Which is probably what made the first transitory sequence with the Lunar Whale so enthralling to watch. Really, the sequence is not that impressive, technically speaking. Even at the time, the technology used to render it was nothing too special. Yet as the sequence engaged, it wasn't just a transition. It was the story engaging my imagination, telling me that Cecil needed to actually take the fight to a whole, second planet and that I was a part of a story that was magical and enthralling to be a part of. 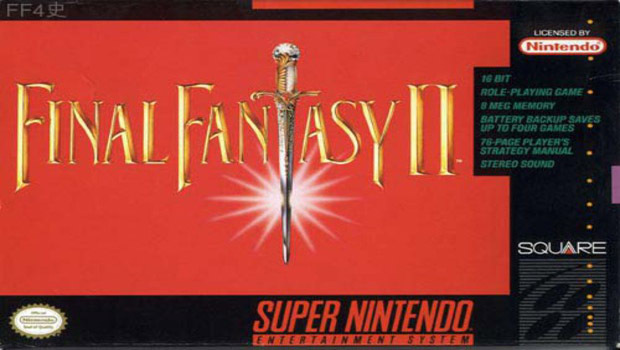 As much as I might go on about how gameplay is so important, truthfully speaking the story of Final Fantasy II was one of the main reasons I'm still a gamer today. It captured my imagination even as it got its hooks into me through the gameplay. Other games before it convinced me that gaming was worth my time. 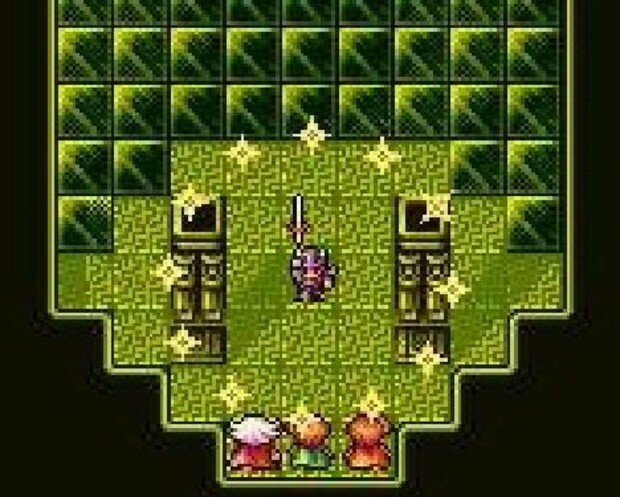 Games beyond Final Fantasy II introduced me to greater stories, more impressive gameplay depths, and even the sequel to the game proved to be a deeper, richer experience. Yet to this day, the first trip to the moon will always be the first moment in my gaming history that I thought was Amazing.